A SALESPERSON WORKING for a global wholesaler has failed in his unfair dismissals case, after he was sacked following an incident where he sent an email complaining about UK management with “strong Irish nationalist undertones”. The email was sent anonymously but, following an internal investigation, the company believed it was this man who sent the email that had “intimidating content” and fired him as a result. For his part, the man denied having sent the email and said “he was out of a job and did not think he should be” at the hearing before the Workplace Relations Commission (WRC). The man had worked for the company for 18 years at the time of his dismissal. In its evidence for he was dismissed, his employers said he was sacked for gross misconduct. 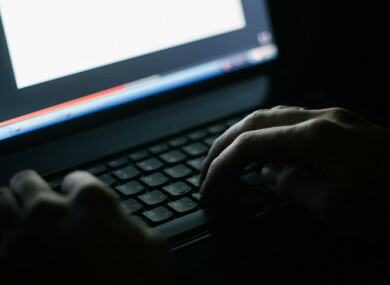 It alleged that the man used an anonymous email facility, which allows users to insert sender identities other than themselves and send those emails to other parties. “In the instant case, the offending email was sent in the name of one of the respondent pension trustees to the CEO of the respondent’s US parent company, complaining in crude form of the UK management of its Irish operations, with strong Irish nationalist undertones,” the WRC adjudicator noted. It contained a PDF file of a PowerPoint presentation, amended from a generic training presentation and pressing the same points, as well as a link to a YouTube video entitled Why Ireland split into the Republic of Ireland and Northern Ireland. The employee who purportedly sent the email strongly denied doing so. Their investigation into the matter led them to the man’s laptop, which was company property. He was suspended with pay and asked to hand over the laptop, which was sent to IT experts in the UK. Whilst the anonymous method use to send it meant that it wasn’t possible to “prove conclusively” that the man who was sacked had sent the email, the experts concluded it was highly likely. The PDF file originated on the man’s laptop, the company said. It also said that the laptop’s search history showed searches for information on Irish-UK history, and included the YouTube video. The user had also searched “send anonymous email” and “send anonymous email with attachment”. The company invited the man in to attend an investigation meeting and presented him with this evidence. The worker said he had been visiting his parents who were ill on the evening this information was accessed. It was his case that anyone could have renamed any computer with his name and sent the offending email. A month later – after it was flagged that what was alleged amount to gross misconduct – he was sacked from the company. In the case before the WRC, the man said he’d been disciplined before in work over “behaviour” issues unrelated to his work. He submitted that he’d not engaged with the investigation because there was “quite a bit of history there” and he’d been “through the wringer” with the HR team many times before. In deciding the case, the WRC adjudicator noted: “I am satisfied that the incriminating email itself is indeed offensive and intimidatory and that it caused the respondent to lose trust in the complainant. Overall, I am satisfied that the respondent was within its rights to dismiss the complainant for gross misconduct, and that the processes by which it arrived at this conclusion were fair. The complainant’s dismissal was therefore fair and the within complaint is not well founded and cannot succeed. Email “Worker accused of complaining about UK bosses in 'strong nationalist undertones' fails in unfair dismissal case”. Feedback on “Worker accused of complaining about UK bosses in 'strong nationalist undertones' fails in unfair dismissal case”.